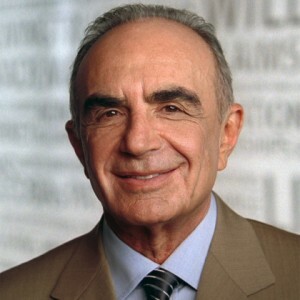 Robert Shapiro is a remarkable man. Many people know him as the Founder of LegalZoom; others know him as OJ Simpson’s criminal defense lawyer; others for his more recent work as a Corporate lawyer on the civil side representing the Rock Star energy drink company and Steve Wynn of Vegas fame, and still others for his remarkable charity work to raise drug and alcohol dependency awareness. Of course, his work on the OJ Simpson case made him internationally famous. As it turns out, I have known Larry King and his family for quite a few years. In fact, he and his wife Shawn have written the Foreword to my upcoming book. But Shapiro is someone that I had never before met and wanted to understand and get to know. So before going to dinner with Shapiro, I made some mental notes of things to discuss. 1. We had a mutual friend in Judge Lance Ito- the man who presided over OJ’s trial. Amazingly, when I was a young lawyer practicing law in Hollywood, one of my partners in our law firm was another young lawyer working to establish his career by the name of Lance Ito. Lance and I became fast friends in those early days. So when I met Mr. Shapiro, I mentioned Lance and we had a nice visit about our mutual acquaintance. 2. Another mutual acquaintance is a dear friend to this day – Gary Hecker. Gary is one of the top Intellectual Property attorneys in the country. During dinner I suggested to my wife Linda, who was with us for the evening and seated next to Shapiro, if Robert “knew Gary Hecker.” She did and Shapiro replied: “I love Gary Hecker – what a great guy. He is very smart.” So that formed a second base of commonality. 3. Finally – before dinner I did a little research on a company co-founded by Robert- LegalZoom.com. Of course, I have used the LegalZoom service from time to time over the years to do some early formation of some of my companies. So I mentioned this, but more importantly, I had seen some rather important recent news about LegalZoom – ie.- that the company had sold roughly a 40% interest in their company to a European entity at a valuation of over half a billion dollars. Robert and I then visited about that. He was obviously pleased that I was up to speed on the latest and greatest of his highly successful entrepreneurial venture. The point is this. 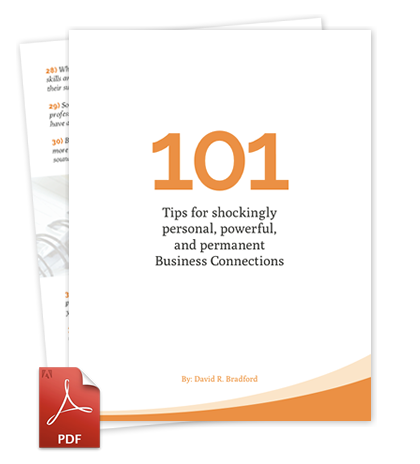 Networking is all about creating and building deep and lasting relationships. Anyone can do it. You don’t have to be naturally outgoing to build a new friendship. But you do have to put some thought into it. 1. Be curious – ask questions. People like to talk about themselves and their achievements. When I asked Robert about the LegalZoom transaction, he lit up and really became engaged. 2. Search to find areas of commonality. When you find areas of mutual interest with a new acquaintance, be they career, geography, hobbies, family, religion, etc, Trust begins to form. And as Stephen MR Covey says: “When trust exists, everything accelerates.” So I engaged with Shapiro on three fronts – Lance, Gary and LegalZoom. 3. Take some time to observe and comment about your surroundings. On this occasion, we were at dinner and had a nice chat about the chicken we both did not like. 4. Do your best to ask open ended questions – those that require more than a simple Yes or No. Someone once said, ask questions that begin with one of the 5 W’s – Who, Where, When, What or Why? For example – “Why did you start a career in the law? “What is your greatest achievement in your work life?” “What does retirement look like for you? 5. Don’t forget to compliment the individual. But Make it Sincere. Fake compliments are worse than no compliments. So do your research in advance. Make sure you really understand this person’s achievements. I felt comfortable complimenting Shapiro on the LegalZoom success and that became a terrific topic of discussion. On the other hand, I did not feel inclined to compliment him on the OJ Simpson outcome. It probably would have come off as not sincere. 6. Finally – Be an engaged listener. Someone once said: “Wisdom is the reward you get for a lifetime of listening when you’d have preferred to talk.” I learned a lot from both Robert Shapiro and Larry King on Saturday night. My listening provided lessons to me of wisdom for life and relationships. So, what about you? Any additional tips you’d add to the list? Let me know in the comments below. This was a great article. I enjoyed reading it. I came to realize that I do all the 6 tips when I meet someone for the first time and that made me feel good. I guess I’m on the right track. What I usually do right away when I first meet someone, I ask for their business card because I have to have his/her name in front of me in order to put the name and their face together in my head. Nice suggestions ! I Appreciate the information . Does someone know where my business might get a fillable 2013 IRS 6765 document to work with ?